Each year around this time I am asked about gift ideas for cadets. While each cadet and graduate will have different likes and needs, I’ll post a list of suggestions. I have not purchased from all these companies and this post is not an endorsement of their company, just a listing of companies who offer Citadel related products. These ideas also hold for graduation gifts, and appreciation gifts for senior mentors, classmates and recent graduates. The Citadel Bookstore is a great place to start for gift giving. The photos in this entry of the bookstore were taken over parents weekend, 2014. The Citadel Bookstore – Diploma Frames, gift frames, glassware, jewelry, etc. Philanthropic giving – various cadet related funds. Give in honor or memory of someone. See this previous blog post for links. Palmetto Boards ‘n Bags – Customized corn hole boards are a popular gift for any Citadel fan. 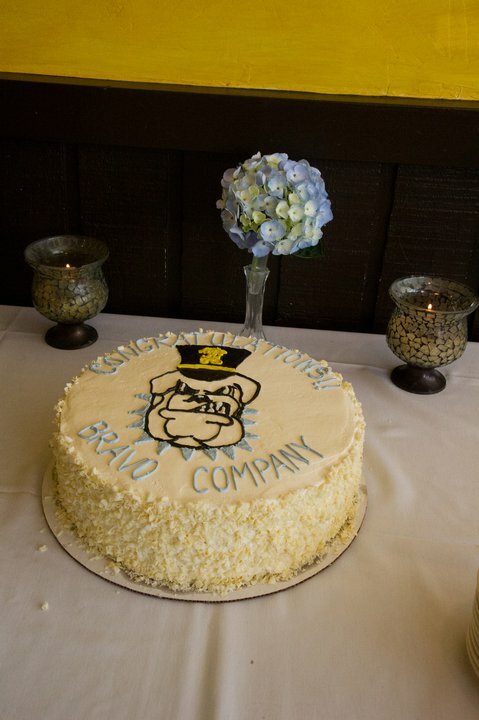 Spirited Signs – A company owned and operated by a Citadel alum. A decal by Spirited Signs. Historic Nutcrackers – Citadel Cadet Nutcracker to be available after January 2015. Contact the company for more information. Combat Humidor a great gift for a deployed alum. I have learned that Carolina Cadets is not currently stocked with their full range of nutcrackers and ornaments, but she does have the 48″ Cadet Nutcrackers. You can contact her through the Facebook page for her cake decorating business. Each year about this time the search terms for gifts for cadets increase. 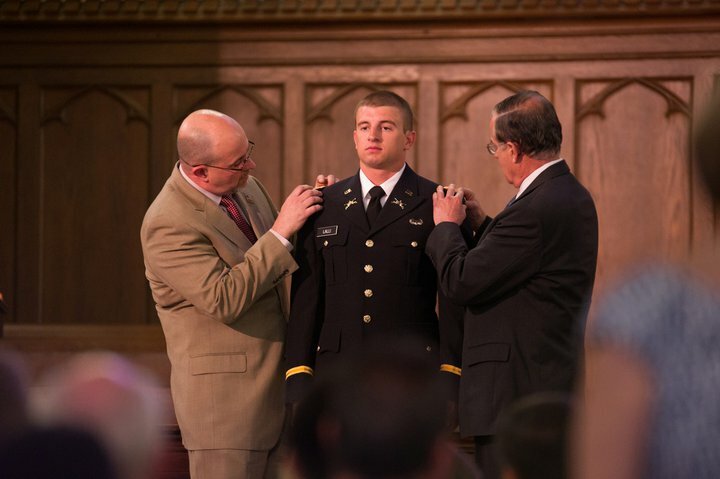 Parents, family and friends of cadets are usually looking for ideas for graduates, but also to celebrate the end of knob year at Recognition Day. 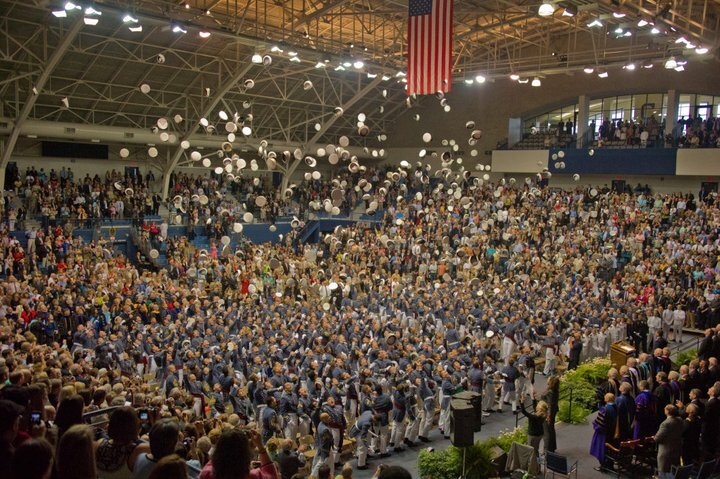 I’ve written about this topic before and you can see those ideas on these previous posts: Finding Gifts for Your Citadel Cadet; The Citadel: Recognition Day and Graduation Gift Ideas; Gift Ideas for Citadel Cadets and Graduates. My top recommendation for newly recognized knobs is a company t-shirt and car decal. You can purchase them at the Citadel Bookstore. They aren’t expecting a gift, but one of the first things former knobs do after Recognition Day is head to the bookstore to get a company t-shirt. For the seniors The Citadel Bookstore and other merchants have an endless number of great gifts. The bookstore carries diploma frames, and other gifts. 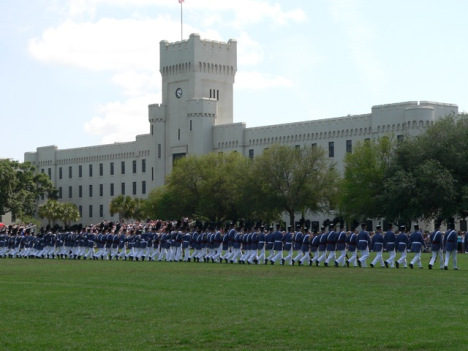 The Lifetime Membership to the Citadel Alumni Association is the top gift for a graduate. They are given a plaque at a luncheon graduation week. The membership means they will always be connected to their alma mater through the CAA. Contact Dawn Allen at: Rmichaelallen@bellsouth.net. 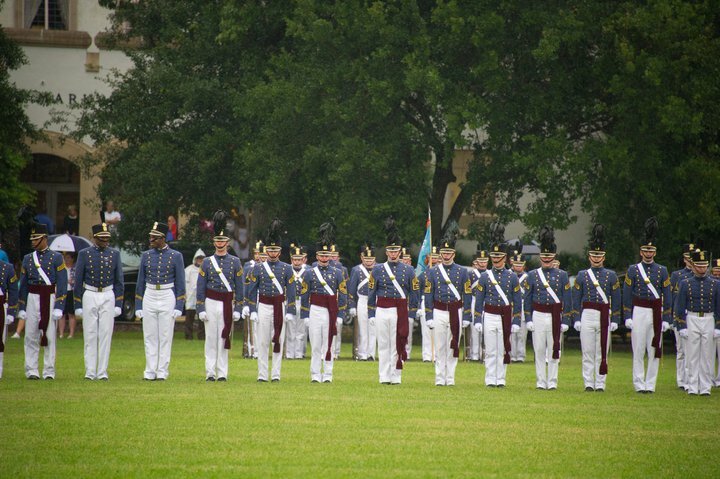 Photos of their time at The Citadel are always appreciated. 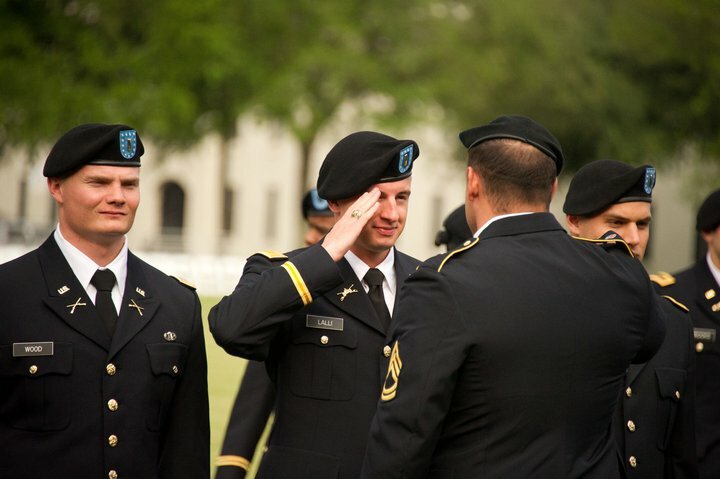 I gave the 2011 graduates of Bravo Company two photos for graduation. One was a group photo from their knob year taken on Corps Day. The second photo was a group shot taken in front of the company letter on Ring Weekend. If you have a great gift idea you’d like to share, please add it to the comment section of this entry. I’ve noticed that a number of people are searching for various permutations of “gifts for Citadel cadets” lately. I have learned of some other unique gifts since an earlier post and will link to them here along with some popular sites. A fellow Citadel mom recently posted a photo of a custom-made chocolate cadet from Christophe Artisan Chocolatier – Patissier. I emailed the shop for more information and learned each Chocolate Cadet is made to order by hand. They sent a photo for me to include here. 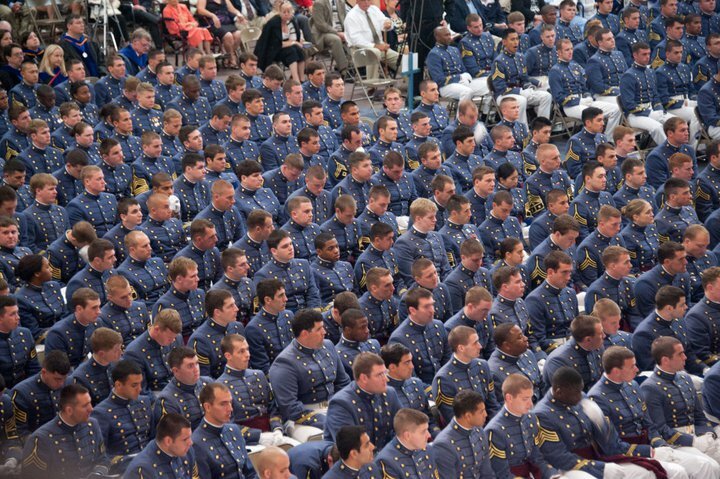 The cadet is not on their website. You need to call the shop to order, 843-297-8674. Each Chocolate cadet is $19.95 plus applicable taxes and shipping. They require a three-day lead time if you are picking up from the shop, longer if it needs to be shipped. When my grad returns from his deployment I will definitely be placing an order. Carolina Cadet Nutcracker and an Army Nutcracker purchased at Target. 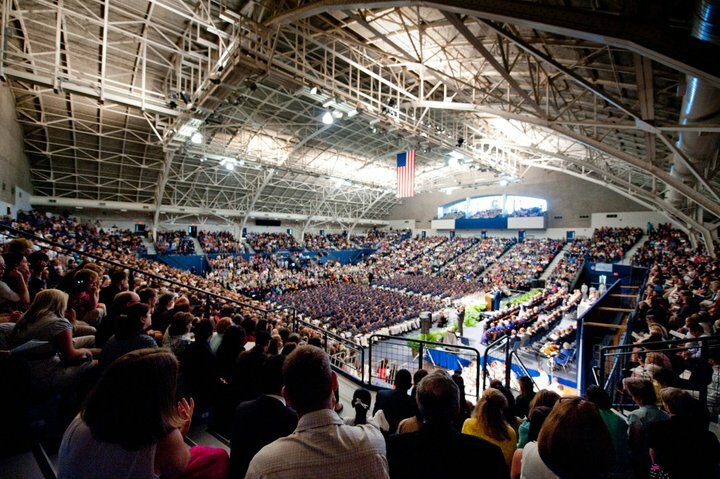 A great gift for a graduate is the Lifetime Membership to the Citadel Alumni Association. It is $400 for juniors and seniors, CGC students and Active Duty Students. The Big Red flag or a company guidon is a great gift for a graduate. The Big Red flag can be personalized with the company letter and /or the graduation year. The staff of Carolina Flag and Banner are very nice to work with. Of course the Gift Shop on campus has a wide variety of terrific gifts for cadets and graduates. The frames for the diplomas may seem expensive, but once you price them at a framer you’ll see that the price is comparable. A popular gift for Recognition Day is a company t-shirt and window decal. Under the Alumni tab on the website are some nice gift ideas for the graduate. For members of the Summerall Guards and alumni you can find nice gifts on their website under “Shop for Promo Apparel.” These items make great gifts for senior mentors who are a members of the Summerall Guards. M. LaHart & Co. has a very nice selection of gift items for cadets and graduates. I have learned that parents of Citadel cadets are very resourceful. If you have a great gift idea and are willing to share the idea with other parens, please post a link in the comments here.